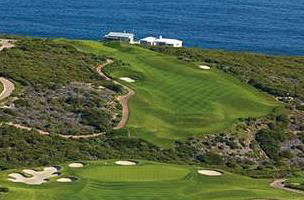 Pinnacle Point Golf Course is an immaculate eighteen-hole championship Links golf course, co-designed by renowned golf architect Peter Matkovich and professional golfer Darren Clarke. 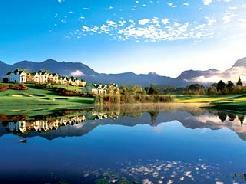 The golf course stretches along four kilometers of spectacular coastline and boasts dramatic cliff-side holes and over 1000 acres of unspoiled beachfront. 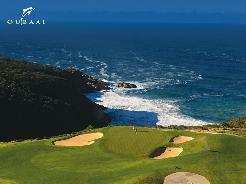 Located near Mossel Bay in the Southern Cape along the Garden Route in South Africa, the Pinnacle Point Golf Course is comparable with the best in the world and truly is a design masterpiece. 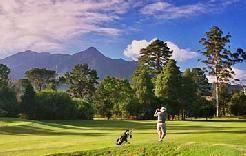 The course can only be played by hotel residents and members - so if you want to play here you will need to overnight in one of the lodges, which we can arrange for you. Darren Clarke is extremely enthusiastic about this new Links golf course and has already indicated that he sees it as a new winter home for his family saying, "I've found my heaven here!" 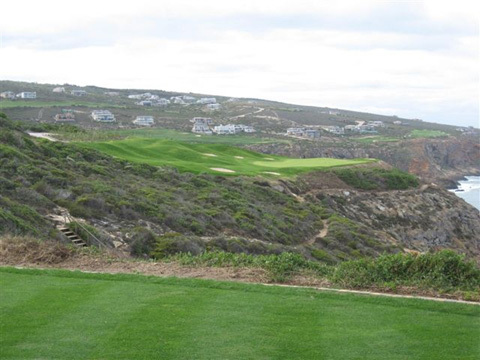 Peter Matkovich, the golf architect responsible for many of South Africa's premier golf courses including Arabella, Leopard Rock and Steenburg, has described Pinnacle Point as "the most dramatic golf course site I've ever encountered anywhere in the world!" The emerald green fairways and tees provide the perfect surface for making shots and the bent grass greens will ensure a challenging and entertaining game. 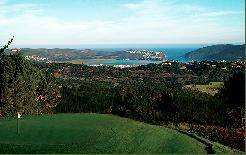 The views are awe inspiring, with dramatic coastal vistas of the ocean from all area's of the course. 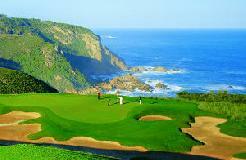 Some of the holes are situated along the cliff side, reminiscent of Hilton Head in the USA. 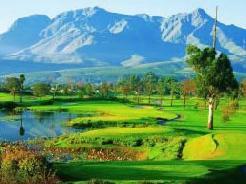 In addition to this, the natural beauty of the indigenous flora and fauna complete this unique golfing experience. 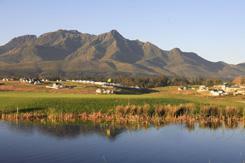 A true golf connoisseur's course providing a fine test of golf, especially if the wind blows.